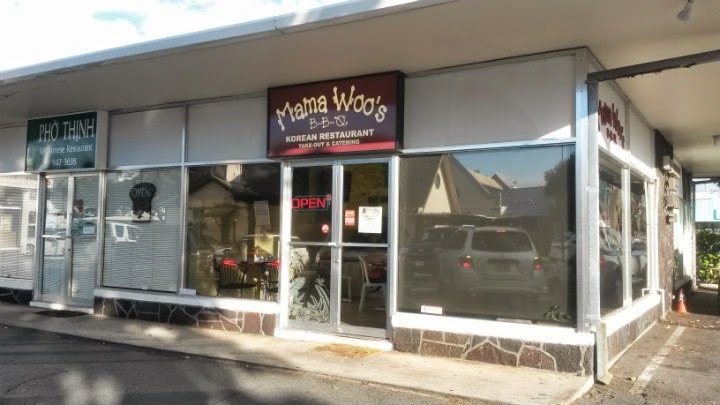 Mama Woo's BBQ is located on South King St. in Honolulu, Hawaii. My folks had heard good things about this Korean food joint, so I had to try a few dishes for science.Even better, it appears to be a family-run business. Mama Woo's is a small place and certainly has the feel of a hole-in-the-wall establishment. It may be on a main street, but with one entrance into a small parking lot, you got one shot to get it right or you'll have to circle the block and try again. 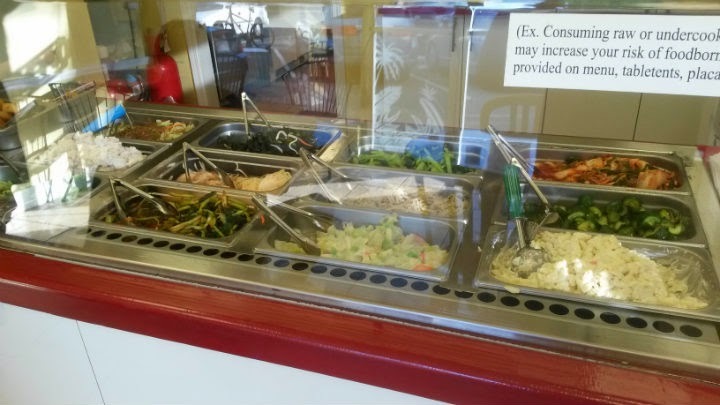 The front display case houses all the side dishes, ranging from kimchi to mac salad. Kimchi Stew (Kimchi Jjigae) ($9.50) is a spicy stew that's considered a year-round Korean favorite and includes kimchi, tofu, and a protein like meat or seafood. A bit of tang and spice from the kimchi. Lots of tofu, vegetables, and meat here to make this a wonderful, hearty choice on a cool day. The side dishes and rice come in a container separate from the stew. The Mama's Special (#11 on the menu) ($11.95) combines most of the protein choices into one dish. 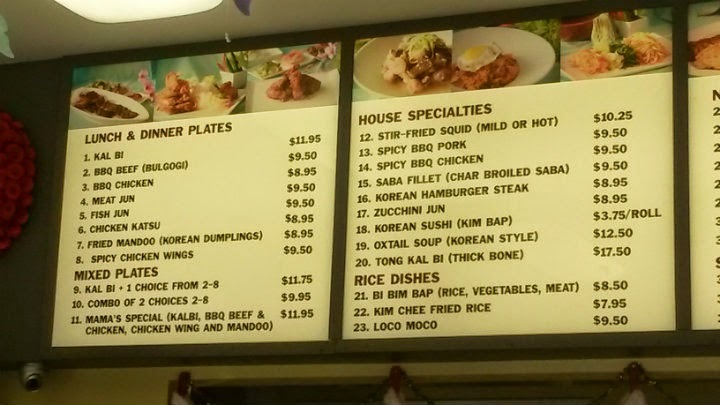 It includes kalbi, BBQ beef, BBQ chicken, one chicken wing, and mandoo on a bed of rice, plus four side dishes. 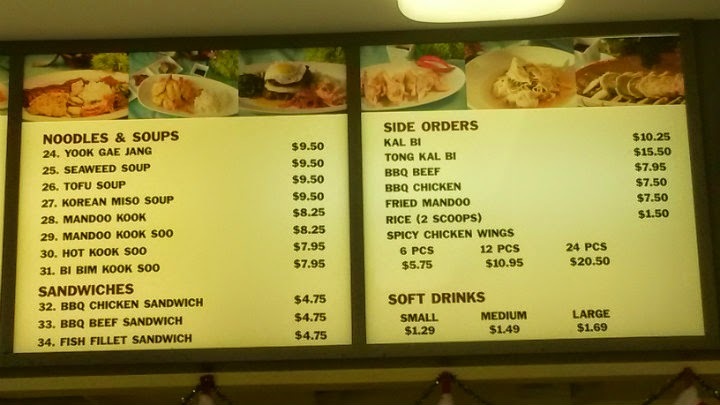 My personal favorites here included the BBQ chicken and kalbi. Finally, the Mochiko Chicken ($9.50) features balls of breaded chicken with a lovely sweet-savory glaze (likely includes soy sauce and garlic). Of all the items we got, the mochiko chicken was my overall favorite. Outstanding crunch and very flavorful. Eating one of these plate lunches should satisfy most appetites.